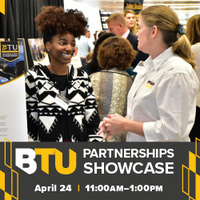 This annual event is the best opportunity to explore partnership opportunities with Towson University and dozens of community partners that will be on display. In addition, over 300 community members, as well as TU faculty, staff and administrators will be in attendance. WTMD is a BTU participant and will be there! Lunch and parking are provided. Pre-registration is suggested.